Vocational education and training is the focus of EU educational policy. This type of education has many functions: effective response to the labor market needs, as well as the preparation for further education, by developing awareness of lifelong learning necessity. This complexity poses a challenge to educational policy in all European Union Member States but also to Candidate Countries. The focus of vocational education and training is placed on the acquisition of competencies or knowledge, skills and attitudes, based on practical learning, respecting the tradition of vocational education in Serbia and dynamic changes in the economy and whole society. Practical forms of work are carried out in school, and in real labor world. Quality vocational education is a way to reduce high rate of youth unemployment in the European Union. At the same time, vocational education and training provide quick and quality retraining for occupations that are identified as required in the labor market. The vocational education reform provides an effective transition from the education system in the labor world by improving students’ competencies. Vocational education and training is based on social partnership of education institutions and employers. This partnership includes involvement of employers in the process of making and implementing educational policies. This is being achieved by participation of all partners in the process of establishing necessary skills and qualifications standards, by accomplishing teaching as well as students certification at the final examination or vocational graduation. 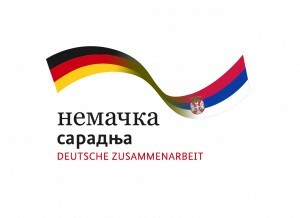 The assignment given to the representatives of Serbia in this thematic working group is to participate at meetings and workshops, aimed at sharing the experiences between participating countries and information on the best mechanisms to improve cooperation among stakeholders, responsible for linking VET and the labor market, to share examples of best practices and prepare guidelines for improving and increasing the effectiveness of existing practice. The improvement of vocational education by popularization of practice and development of career guidance and counseling is very significant output of this working group. The elected representatives of the Republic of Serbia in the Open Method of Coordination in Education and Training who participate in this working group are Mirjana Bojanić and Marija Krneta from the Ministry of Education, Science and Technological Development.